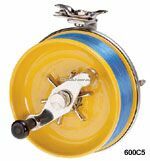 Alvey Reels Australia. 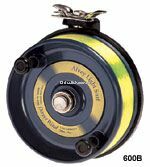 Alvey Fishing Reels. 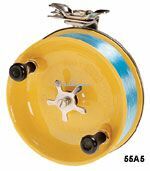 Australian made center pin side cast fishing reels. 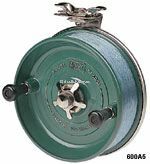 100% Australian made fishing tackle since 1920. Made in Australia - Sold to the World. 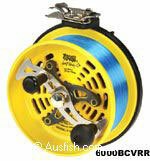 For light beach fishing and estuary fishing you can't beat these reels. 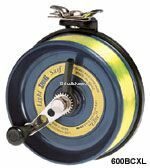 Whether you fish the surf for chopper tailor(Bluefish) and dart or the estuaries for flathead and bream these reels will stop the toughest opponents and will not let you down. 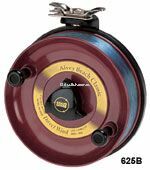 Alvey reels offer the ultimate sensitivity when fishing because of direct contact with your bait and rig or fish. 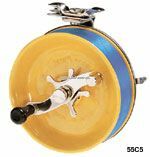 You will feel every bite allowing you to decide exactly when to apply pressure and hook the fish. Suggested Swivel and Line Combination. 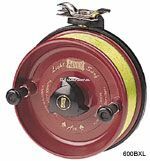 The only requirement in sidecast angling is that an ordinary small free running swivel be placed above your rig. 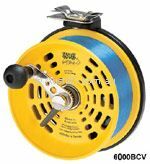 Any type of rig, spinner or float can be used below the swivel, but nothing on or attached to the line above it. In this position the swivel will, for all practical purposes, keep your line free of twist from any cause whatsoever. 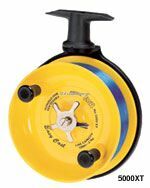 The use of too large a swivel is often another cause of line twist, the swivel being too heavy for the light line to turn. For the estuary no swivel larger than no.12 should be necessary. Graphics from this site can only be used on non-commercial websites, provided a link back to this site is provided.